It’s hard to believe this was two years ago, almost to the day… Throwback Thursday it is, indeed. I’ve written a bit over the past year about the life changing time I spent in Egypt back in 2013, but haven’t really yet touched on the fact that we happened to visit in between flare ups of rioting and fighting. The trip had been booked and paid for well in advance, and we weren’t about to cancel it without an extremely good reason. The official travel advisories stated that in the week we were to be there, it would be sufficiently safe; that was good enough for us! 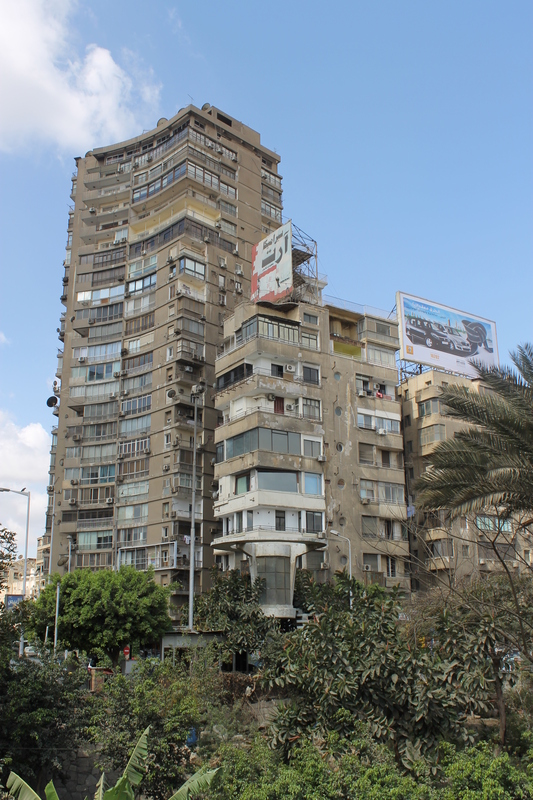 We were only in Cairo for a few nights, anyhow, and didn’t think we’d be getting too close to the troubled areas of the city anyway. Turned out we arrived a day before the rest of our tour companions did, and our brilliant guide Medo had an offer we couldn’t refuse – a private tour of the city. Absolutely; we figured it’d be our only real chance to see it safely. It was a confronting experience, but I’m glad we did it. The first thing that was blatantly obvious, was that I stood out like an elephant wearing a tutu. I felt like a zoo animal being walked around on a leash for the day. I was covered up, wearing pants, a long sleeved top, closed shoes. I left my hair out to cover my neck and partially hide my face. I wore sunglasses, and all of my tattoos were hidden. I wore no jewellery other than a simple black leather bracelet, a silver necklace chain and my wedding ring, turned around so that the diamonds were in my palm. I did my best to keep myself hidden in plain sight. But I couldn’t hide the fact that I was a lily white Western woman, with freckles and auburn red hair. That made me different enough for unending stares. The strange thing was, they weren’t rude stares; merely inquisitive. I didn’t feel like people were offended by my presence, I just felt like they were very curious about me. 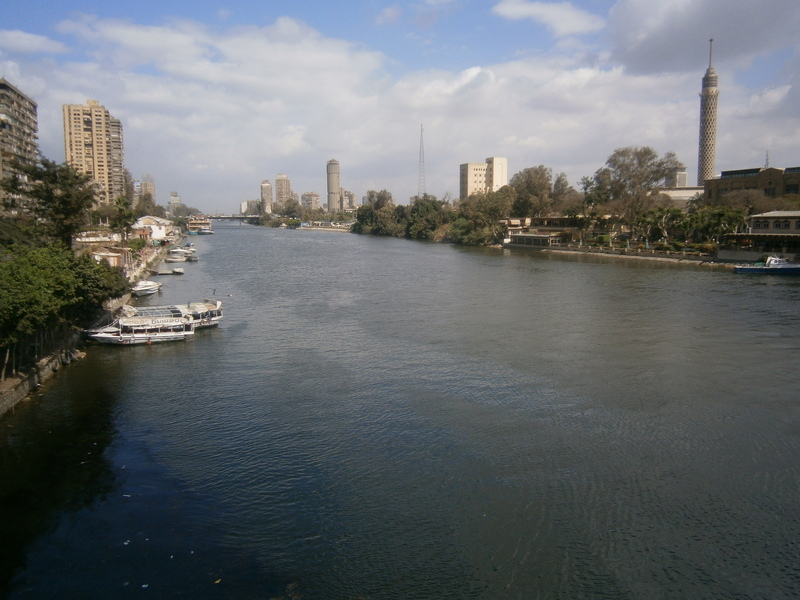 Medo put me at ease instantly, letting me know that I was as much a tourist attraction to them as the Nile was to me. 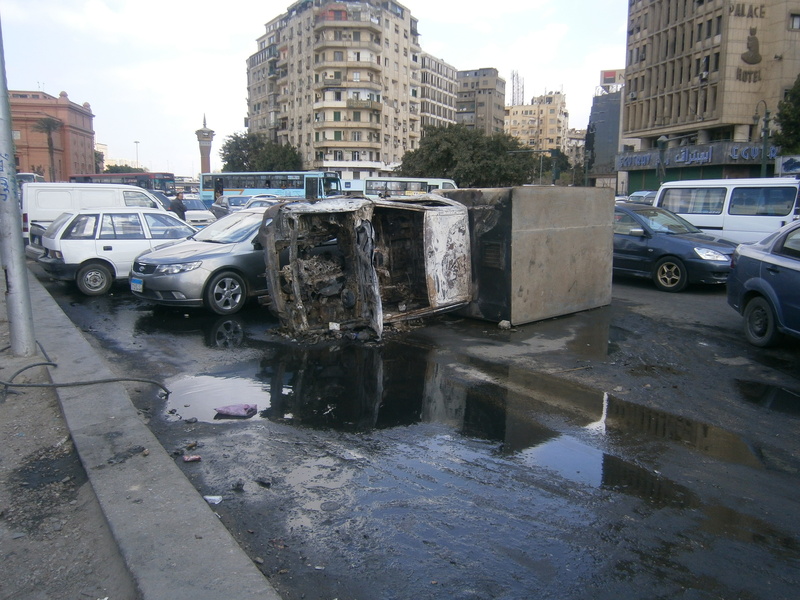 The second thing was the damage that had been caused as we reached Tahrir Square. Windows had been smashed. Buildings had been gutted by fires. Cars upturned. Store front boarded up and spray painted. It was exactly as it had been depicted in the media, yet I still wasn’t ready for it. Again, Medo urged us not to worry; he explained that the locals understood very well that their livelihoods relied mostly on tourism, and as such, if any rioting was to break out, we could rest assured we’d be left completely untouched and unharmed. The riots were a hell of a lot more organised than we’d been led to believe from the media reporting, too; they were planned and announced, for the most part, in advance. That’s how the news reporters knew where and when to turn up. Hotels also let their guests know when to avoid the square for these pre-planned events. Real life on those streets was far less frightful than the news would have had us believe. 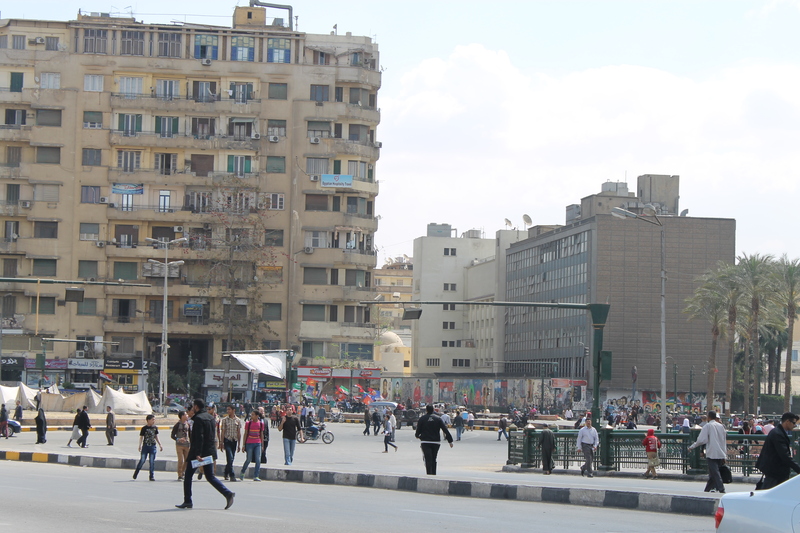 We came from Melbourne to Cairo; “polar opposites” would be the phrase that first comes to mind. Coming from such a safe city, being afraid to leave my house for fear of fighting or rioting is not a notion I have ever had to entertain, not even in my most ridiculous dreams. I’ve never avoided an area in my city for fear of my personal safety. It’s second nature for me to walk around with whoever I want, wearing whatever I want, doing exactly as I please. I know that not everyone has that privileged, yet it’s not something I’ve ever considered myself lucky to have had. I’m glad we weren’t there on the day of a riot, because the aftermath was scary enough for me. But honestly, other than being the unwitting and uncomfortable centre of attention, I felt surprisingly comfortable in Cairo with Medo as our guide. The locals were as curious about me as I was about them, nothing was hidden, it was all put out there for the world to see. Somehow, that’s more comforting. It was an encounter I’ll always remember, and something I’m so glad I had the opportunity to experience. Pingback: Luxor Temple, Egypt | Eat. Travel. Blog.